Annalisa Pianta at Massachusetts General Hospital and colleagues from Harvard and Boston University found two proteins from normal gut bacteria that cause immune responses in rheumatoid arthritis patients. And the bacterial proteins are strangely similar to proteins expressed in joints. Their work was published June 26 in the Journal of Clinical Investigation. Rheumatoid arthritis (RA) is an autoimmune disease in which body's immune system turns against tissues and other parts of itself, causing inflammation and degeneration of joints. The capsule that surrounds our joints is lined with synovium, a tissue that produces synovial fluid to lubricate the joints. In RA, T cells recognize bits of self as foreign invaders and react by moving to the joints of RA patients. There, they signal other immune cells to come, including the antibody-producing B cells. 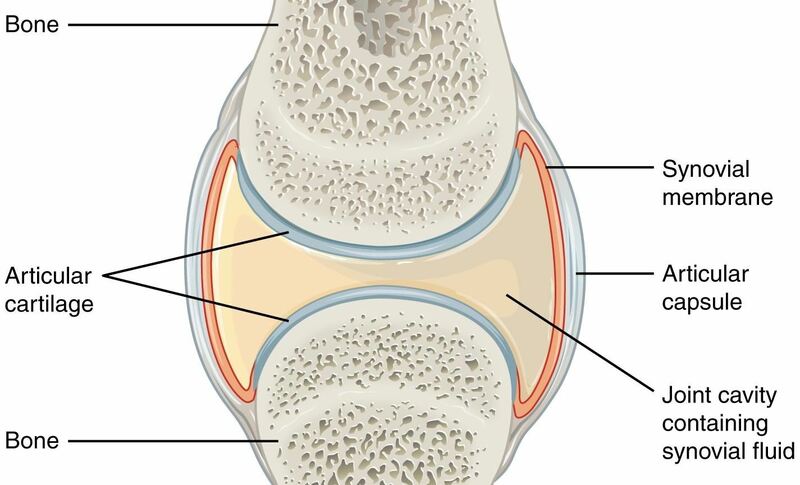 At the joints these white blood cells cause inflammation of the synovium that then invades and damages the cartilage — the tough shock absorber tissue on the end of bones — and bone of the joint. Symptoms and joint X-rays can help diagnose RA, but most patients also have antibodies in their blood to normal proteins called 'rheumatoid factor' and to cyclic citrullinated peptide. These are called auto-antibodies because they bind to bits of our own body, instead of bacterial or viral invaders. Doctors treat patients with RA with medications, reduction of joint stress, physical and occupational therapy, and sometimes surgery. A variety of drugs and therapeutic agents are used to treat RA. Some drugs reduce inflammation, like over-the-counter nonsteroidal anti-inflammatories (NSAIDs), corticosteroids, and methotrexate. Some agents suppress specific parts of the immune response. For example, abatacept blocks T cells and rituximab decreases the number of B cells. Some people seem to be at higher risk of developing RA. The risk of RA increases with age, and it occurs two to three times more often in women than in men. Smokers, obese people, and individuals with certain HLA types — a set of proteins on the outside of our cells — are also at higher risk of getting the disease. But, what triggers the disease to start is the subject of much research and debate. The risk of getting RA is about 0.8% a nearly one in a hundred chance. Those who have a family member with RA are more likely to have RA themselves. If one of a pair of identical twins has RA, then the other member has a 15% chance of developing the disease. Since the risk is not 100% in the other twin, factors besides genetics must contribute to the development of the disease. Environmental factors, such as viruses and even pollution may also play a role. Despite concentrated efforts to get to the cause of RA, we still don't know the exact event that causes T cells to start down this destructive path. Planta and her team have found a possible cause, rooted in how our body recognizes itself. The scientists found two proteins present in high amounts in synovia. These two proteins are N-acetylglucosamine-6-sulfatase (GNS) and filamin A (FLNA). These proteins act as auto-antigens, bits of normal proteins which the immune system sees as foreign and mounts a reaction. T and B immune cells react to GNS in 52% of RA patients, and to FLNA in 56% of RA patients, but not in healthy people. GNS can be citrullinated by the substitution of an amino acid in the protein with citrulline, an amino acid not normally found in human proteins. In the study, GNS antibody values correlated with the level of antibodies against citrullinated proteins in the body, a type of antibody commonly seen in the blood of RA patients. Previous studies have also noted an abundance of Prevotella bacteria in RA patients, so the researchers looked for a link between the gut bacteria and these two autoantigens. They found antibodies to Prevotella copri in 32% of RA patients. They also found that proteins in the bacteria were remarkably similar to GNS and FLNA. The authors suggested that the similarity of the two self-proteins, GNS and FLNA, to gut bacterial proteins may explain the auto-immune reaction to the self-proteins. The body was reacting to Prevotella bacteria—a normal component of the gut microbiome—but, the immune response also attacked normal synovial proteins, because they appeared similar to the immune system. That's potentially how the body started creating these auto-antibodies in the first place, which could react to the body's own joint proteins and lead to the destruction of joint and bone tissues and continued inflammation by the whacked-out immune system. The connection is still missing between how abnormal immune responses to gut bacteria get started and if that directly causes the autoimmune destruction of joints in RA patients, but the work from Planta and her colleagues suggests it may be a case of mistaken identity.